Raina J.B., Fernandez V.I., Lambert B., Stocker R. and Seymour J.R, 2019, “The role of microbial motility and chemotaxis in symbiosis”, Nature Reviews Microbiology, doi:10.1038/s41579-019-0182-9. Lee K.S., Palatinszky M., Pereira F.C., Nguyen J., Fernandez V.I., Mueller A.J., Menolascina F., Daims H., Berry D., Wagner M. and Stocker R., 2019 “An automated Raman-based platform for the sorting of live cells by functional properties”, Nature Microbiology, doi:10.1038/s41564-019-0394-9. Fernandez V.I., Yawata Y. and Stocker R., 2018, “A foraging mandala for aquatic microorganisms”, ISME Journal, doi:10.1038/s41396-018-0309-4. K. Sekar, Rusconi R., Sauls J.T., Fuhrer T., Noor E., Nguyen J., Fernandez V.I., Buffing M.F., Berney M., Jun S., Stocker R. and Sauer U., 2018, “Synthesis and degradation of FtsZ quantitatively predict the first cell division in starved bacteria”, Molecular Systems Biology, 14, e8623. sequester motile bacteria”, Scientific Reports, 7, 45897. Tout J., Astudillo-Garcia C., Taylor M.W., Tyson G.W, Stocker R., Ralph P.J., Seymour J.R. and Webster N.S., 2017, “Redefining the sponge-symbiont acquisition paradigm: Sponge microbes exhibit chemotaxis towards host-derived compounds”, Environmental Microbiology Reports (2017), 9(6), 750-755. Lambert B.S., Raina J.B., Fernandez V.I., Rinke C., Siboni N., Rubino F., Hugenholtz P., Tyson G.W., Seymour J.R. and Stocker R., 2017, “A microfluidics-based in situ chemotaxis assay to study the behaviour of aquatic microbial communities”, Nature Microbiology, 2, 1344-1349. Seymour J.R., Amin S.A., Raina J.B. and Stocker R., 2017, “Zooming in on the phycosphere: the ecological interface for phytoplankton-bacteria relationships”, Nature Microbiology, 2, DOI: 10.1038/nmicrobiol.2017.65. Moor K., Diard M., Sellin M.E., Felmy B., Wotzka S.Y., Toska A., Bakkeren E., Arnoldini M., Bansept F., Dal Co A., Völler T., Minola A., Fernandez-Rodriguez B., Agatic G., Barbieri S., Piccoli L., Casiraghi C., Corti D., Lanzavecchia A., Regoes R.R., Loverdo C., Stocker R., Brumley D.R., Hardt W.D. and Slack E., 2017, “High-avidity IgA protects the intestine by enchaining growing bacteria”, Nature, 544, 498-502, doi:10.1038/nature22058. Beyersmann P.G., Tomasch J., Son K., Stocker R., Göker M., Wagner-Döbler I., Simon M. and Brinkhoff T. 2017, “Dual function of tropodithietic acid as antibiotic and signaling molecule in global gene regulation of the probiotic bacterium Phaeobacter inhibens“, Scientific Reports, 7, 730, doi:10.1038/s41598-017-00784-7. Sengupta A., Carrara F. and Stocker R., 2017, “Phytoplankton can actively diversify their migration strategy in response to turbulent cues”, Nature, 543, 555-558, doi:10.1038/nature21415. Miño G.L., Koehl M.A.R., King N. and Stocker R., 2017, “Finding patches in a heterogeneous aquatic environment: pH-taxis by the dispersal stage of choanoflagellates”, Limnology and Oceanography Letters, 2, 37-46. Cordero O.X. and Stocker R., 2017, “A particularly useful system to study the ecology of microbes”, Environmental Microbiology Reports, 9, 16-17. Jang H., Rusconi R. and Stocker R., 2017, “Biofilm disruption by an air bubble reveals heterogeneous age-dependent detachment patterns dictated by initial extracellular matrix distribution”, npj Biofilms and Microbiomes, 3, 6, doi:10.1038/s41522-017-0014-5. Menolascina F., Rusconi R., Fernandez V.I., Smriga S., Aminzare Z., Sontag E.D. and Stocker R., 2017, “Logarithmic sensing in Bacillus subtilis aerotaxis”, npj Systems Biology and Applications, 3, 16036. Hussain Y.H., Guasto J.S., Zimmer R.K., Stocker R. and Riffell J.A., 2016, “Sperm chemotaxis promotes individual fertilization success in sea urchins”, Journal of Experimental Biology, 219, 1458-1466, doi:10.1242/jeb.134924. Rinke C., Low S., Woodcroft B.J., Raina J.-B., Skarshewski A., Le X.H., Butler M.K., Stocker R., Seymour J., Tyson G.W. and Hugenholtz P., 2016, “Validation of picogram- and femtogram-input DNA libraries for microscale metagenomics”, PeerJ, 4, e2486, doi:10.7717/peerj.2486. Fernandez V.I. and Stocker R., 2016, “Modus vivendi”, Nature Physics, 13, 326-327, doi:10.1038/nphys4004. Son K., Menolascina F. and Stocker R., 2016, “Speed-dependent chemotactic precision in marine bacteria”, PNAS, 113, 8624-8629. Nelson M.B., Chase A.B., Martiny J.B.H., Stocker R., Nguyen J., Lloyd K., Oshiro R.T., Kearns D.B., Schneider J.P., Ringel P.D., Basler M., Olson C.A., Vuong H.E., Hsiao E.Y., Roller B.R.K., Ackermann M., Smillie C., Chien D., Alm E. and Jermy A.J., 2016, “The Microbial Olympics 2016”, Nature Microbiology, 1, 16122. Hein A.M., Carrara F., Brumley D.R., Stocker R. and Levin S.A., 2016, “Natural search algorithms as a bridge between organisms, evolution, and ecology”, PNAS, 113, 9413-9420. Emge P., Moeller J., Jang H., Rusconi R., Yawata Y., Stocker R. and Vogel V., 2016, “Resilience of bacterial quorum sensing against fluid flow”, Scientific Reports, 6, 33115. Yawata Y., Nguyen J., Stocker R. and Rusconi R., 2016, “Microfluidic studies of biofilm formation in dynamic environments”, Journal of Bacteriology, 198, 2589-2595, doi:10.1128/JB.00118-16. Nadeau J., Lindensmith C., Deming J.W., Fernandez V.I. and Stocker R., 2016, “Microbial morphology and motility as biosignatures for outer planet missions”, Astrobiology, 16, 755-774. 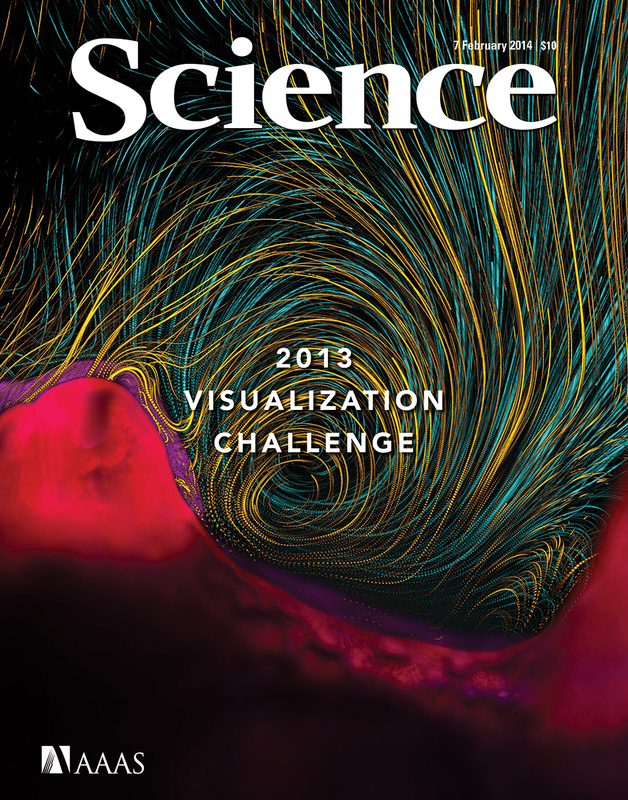 Secchi E., Rusconi R., Buzzaccaro S., Salek M.M., Smriga S., Piazza R. and Stocker R., 2016, “Intermittent turbulence in flowing bacterial suspensions”, Journal of the Royal Society Interface , 13, 20160175. Shapiro O.H., Kramarsky-Winter E., Gavish A.R., Stocker R. and Vardi A., 2016, “A coral-on-a-chip microfluidic platform enabling live-imaging microscopy of reef-building corals”, Nature Communications, 7, 10860. Ricardo G.F, Jones R.J., Negri A.P. and Stocker R., 2016, “That sinking feeling: Suspended sediments can prevent the ascent of coral egg bundles”, Scientific Reports, 6, 21567. Smriga S., Fernandez V.I., Mitchell J.G. and Stocker R., 2016, “Chemotaxis toward phytoplankton drives organic matter partitioning among marine bacteria”, Proceedings of the National Academy of Sciences, 113, 1576-1581. Hein A.M., Brumley D.R., Carrara F., Stocker R. and Levin S.A., 2016, “Physical limits on bacterial navigation in dynamic environments”, Journal of the Royal Society Interface, 13, 20150844. Garren M., Son K., Tout J., Seymour J.R. and Stocker R., 2016, “Temperature-induced behavioral switches in a bacterial coral pathogen”, The ISME Journal, 10, 1363-1372. Dörgens A.L., Ahmerkamp S., M¸ssig J., Stocker R., Kuypers M.M.M., Khalili A. and Kindler K., 2015, “A laboratory model of marine snow: Preparation and characterization of porous fiber particles”, Limnology and Oceanography: Methods, 13, 664-671. Stocker R., 2015, “The 100 µm length scale in the microbial ocean”, Aquatic Microbial Ecology, 76, 189-194. Brumley D.R., Rusconi R., Son K. and Stocker R., 2015, “Flagella, flexibility and flow: Physical processes in microbial ecology”, The European Physical Journal Special Topics, 224, 3119-3140. Watteaux R., Stocker R. and Taylor J.R., 2015, “Sensitivity of the rate of nutrient uptake by chemotactic bacteria to physical and biological parameters in a turbulent environment”, Journal of Theoretical Biology, 387, 120-135. Barry M.T., Rusconi R., Guasto J.S. and Stocker R., 2015, “Shear-induced orientational dynamics and spatial heterogeneity in suspensions of motile phytoplankton”, Journal of the Royal Society Interface, 12, 20150791. Son K., Brumley D.R. and Stocker R., 2015, “Live from under the lens: exploring microbial motility with dynamic imaging and microfluidics”, Nature Reviews Microbiology, 13, 761-775. Rusconi R. and Stocker R., 2015, “Microbes in flow”, Current Opinion in Microbiology, 25:1-8. Giometto A., Altermatt F., Maritan A., Stocker R. and Rinaldo A., 2015, “Generalized receptor law governs phototaxis in the phytoplankton Euglena gracilis“, PNAS, 112, 7045-7050. Tout J., Siboni N., Messer L.F., Garren M., Stocker R., Webster N.S., Ralph P.J. and Seymour J.R., 2015, “Increased seawater temperature increases the abundance and alters the structure of natural Vibrio populations associated with the coral Pocillopora damicornis“, Frontiers in Microbiology, 6, 432. Tout J., Jeffries T.C., Petrou K., Tyson G.W., Webster N.S., Garren M., Stocker R., Ralph P.J. and Seymour J.R., 2015, “Chemotaxis by natural populations of coral reef bacteria”, The ISME Journal, 9, 1764-1777. Lecuyer S., Stocker R. and Rusconi R., 2015, “Focus on the physics of biofilms”, New Journal of Physics, 17, 030401. Pollock F.J., Krediet C.J., Garren M., Stocker R., Winn K., Wilson B., Huete-Stauffer C., Willis B.L. and Bourne D.G., 2015, “Visualization of coral host-pathogen interactions using a stable GFP-labeled Vibrio coralliilyticus strain”, Coral Reefs, 34, 655-662. Shapiro O.H., Fernandez V.I., Garren M., Guasto J.S., Debaillon-Vesque F.P., Kramarsky-Winter E., Vardi A. and Stocker R., 2014, “Vortical ciliary flows actively enhance mass transport in reef corals”, Proceedings of the National Academy of Sciences, 111, 13391-13396. Mayola A., Irazoki O., Martinez I.A., Petrov D., Menolascina F., Stocker R., Reyes-Darias J.A., Krell T., Barbé J. and Campoy S., 2014, “RecA protein plays a role in the chemotactic response and chemoreceptor clustering of Salmonella enterica“, PLoS ONE, 9, e105578. Molaei M., Barry M., Stocker R. and Sheng J., 2014, “Failed escape: Solid surfaces prevent tumbling of Escherichia coli“, Physical Review Letters, 113, 068103. Kashtan N., Roggensack S.E., Rodrigue S., Thompson J.W., Biller S.J., Coe A., Ding H., Marttinen P., Malmstrom R.R., Stocker R., Follows M.J., Stepanauskas R. and Chisholm S.W., 2014, “Single-cell genomics reveals hundreds of coexisting subpopulations in wild Prochlorococcus“, Science, 344, 416-420. Rusconi R., Garren M. and Stocker R., 2014, “Microfluidics expanding the frontiers of microbial ecology”, Annual Review of Biophysics, 43, 65-91. Yawata Y., Cordero O.X., Menolascina F., Hehemann J.H., Polz M.F. and Stocker R., 2014, “Competition-dispersal tradeoff ecologically differentiates recently speciated marine bacterioplankton populations”, Proceedings of the National Academy of Sciences, 111, 5622-5627. Rusconi R., Guasto J.S. and Stocker R., 2014, “Bacterial transport suppressed by fluid shear”, Nature Physics, 10, 212-217. De Lillo F., Cencini M., Durham W.M., Barry M., Stocker R., Climent E. and Boffetta G., 2014, “Turbulent fluid acceleration generates clusters of gyrotactic microorganisms”, Physical Review Letters, 112, 044502. Tout J., Jeffries T.C., Webster N.S., Stocker R., Ralph P.J. and Seymour J.R., 2014, “Variability in microbial community composition and function between different niches within a coral reef”, Microbial Ecology, 67, 540-552. Yang R., Jang H., Stocker R. and Gleason K.K., 2014, “Synergistic prevention of biofouling in seawater desalination by zwitterionic surfaces and low-level chlorination”, Advanced Materials, 26, 1711-1718. Norris N., Menolascina F., Frazzoli E. and Stocker R., 2014, “The effect of reversals for a stochastic source-seeking process inspired by bacterial chemotaxis”, 2014 American Control Conference, 3411-3416. Crouzier T., Jang H., Ahn J., Stocker R. and Ribbeck K., 2013, “Cell patterning with mucin biopolymers”, Biomacromolecules, 14, 3010-3016. Billings N., Millan M.R., Caldara M., Rusconi R., Tarasova Y., Stocker R. and Ribbeck K., 2013, “The extracellular matrix component Psl provides fast-acting antibiotic defense in Pseudomonas aeruginosa biofilms”, PLoS Pathogens, 9, e1003526. Durham W.M., Climent E., Barry M., De Lillo F., Boffetta G., Cencini M. and Stocker R., 2013, “Turbulence drives microscale patches of motile phytoplankton”, Nature Communications, 4, 2148. Son K., Guasto J.S. and Stocker R., 2013, “Bacteria can exploit a flagellar buckling instability to change direction”, Nature Physics, 9, 494-498. Peruzzo P., Defina A., Nepf H.M. and Stocker R., 2013, “Capillary interception of floating particles by surface-piercing vegetation”, Physical Review Letters, 111, 164501. Garren M., Son K., Raina J.-B., Rusconi R., Menolascina F., Shapiro O.H., Tout J., Bourne D.G., Seymour J.R. and Stocker R., 2014, “A bacterial pathogen uses dimethylsulfoniopropionate as a cue to target heat-stressed corals”, The ISME Journal, 8, 999-1007. Stocker R., 2012, “Marine microbes see a sea of gradients”, Science, 338, 628-633. Taylor J.R. and Stocker R., 2012, “Trade-offs of chemotactic foraging in turbulent water”, Science, 338, 675-679. Durham W.M., Tranzier O., Leombruni A. and Stocker R., 2012, “Division by fluid incision: Biofilm patch development in porous media”, Physics of Fluids, 24, 091107. Stocker R. and Seymour J.R., 2012, “Ecology and physics of bacterial chemotaxis in the ocean”, Microbiology and Molecular Biology Reviews, 76, 792-812 (Featured on the cover). Hyon Y., Marcos, Powers T.R., Stocker R. and Fu H.C., 2012, “The wiggling trajectories of bacteria”, Journal of Fluid Mechanics, 705, 58-76. Marcos, Fu H.C., Powers T.R. and Stocker R., 2012, “Bacterial rheotaxis”, Proceedings of the National Academy of Sciences, 109, 4780-4785. Doostmohammadi A., Stocker R. and Ardekani A.M., 2012, “Low-Reynolds-number swimming at pycnoclines”, Proceedings of the National Academy of Sciences, 109, 3856-3861. Durham W.M. and Stocker R., 2012, “Thin phytoplankton layers: Characteristics, mechanisms and consequences”, Annual Review of Marine Science, 4, 177-207. Guasto J.S., Rusconi R. and Stocker R., 2012, “Fluid mechanics of planktonic microorganisms”, Annual Review of Fluid Mechanics, 44, 373-400. Lewpiriyawong N., Kandaswamy K., Yang C., Ivanov V. and Stocker R., 2011, “Microfluidic characterization and continuous separation of cells and particles using conducting poly(dimethyl siloxane) electrode induced alternating current-dielectrophoresis”, Analytical Chemistry, 83, 9579-9585. Steger D., Berry D., Haider S., Horn M., Wagner M., Stocker R. and Loy A., 2011, “Systematic spatial bias in DNA microarray hybridization is caused by probe spot position-dependent variability in lateral diffusion”, PLoS ONE, 6, e23727. Lazova M.D., Ahmed T., Bellomo D., Stocker R. and Shimizu T.S., 2011, “Response rescaling in bacterial chemotaxis”, Proceedings of the National Academy of Sciences, 108, 13870-13875. Durham W.M., Climent E. and Stocker R., 2011, “Gyrotaxis in a steady vortical flow”, Physical Review Letters, 106, 238102. Marcos, Seymour J.R., Luhar M., Durham W.M., Mitchell J.G., Macke A. and Stocker R., 2011, “Microbial alignment in flow changes ocean light climate”, Proceedings of the National Academy of Sciences, 108, 3860-3864. Giuffre C., Hinow P., Vogel R., Ahmed T., Stocker R., Consi T.R. and Strickler J.R., 2011, “The ciliate Paramecium shows higher motility in non-uniform chemical landscapes”, PLoS ONE, 6, e15274. Aristoff J.M., Stocker R., Reis P.M. and Jung S., 2011, “On the water lapping of felines and the water running of lizards: A unifying physical perspective”, Communicative and Integrative Biology, 4, 213-215. Stocker R., 2011, “Reverse and flick: Hybrid locomotion in bacteria”, Proceedings of the National Academy of Sciences, 108. 2635-2636. Stocker R., Aristoff J.M., Jung S. and Reis P.M., 2011, “Response to comment on “How cats lap: Water uptake by Felis catus“”, Science, 334, 311. (Canadian Broadcasting Company Radio) – Tonight Show with Jay Leno – World Today (BBC World Service). In the news: ABC (Spain); All Things Considered (National Public Radio); BBC News; Boston Globe (Front Page); CBS News; Ciencia Hoje (Brazil); Ciencia Hoje (Portugal); CNN; Der Spiegel (Germany); Discover Magazine; Discovery News; Duetschlandfunk Radio; El Mundo (Spain); Encyclopedia Britannica; Focus (Germany); Geekmom; iG (Brazil); La Republica (Italy); Le Figaro (France); Los Angeles Times; MIT Homepage Spotlight; MIT News; MSNBC; New York Times (Front Page); New York Times Learning Blog; NU (Netherlands); Philadelphia Inquirer (Front Page); Physicsworld.com; Reuters; Sabado (Portugal); Science & Vie (France); Science News; Science Now; Science News For Kids; Scientific American; Sydney Morning News (Australia); The Guardian (UK); The Telegraph (UK); Time; Toronto Star (Canada); Veja (Brazil); Washington Post (Front Page); Wired. Kindler K., Khalili A. and Stocker R., 2010, “Diffusion-limited retention of porous particles at density interfaces”, Proceedings of the National Academy of Sciences, 107, 22163-22168. Ahmed T., Shimizu T.S. and Stocker R., 2010, “Microfluidics for bacterial chemotaxis”, Integrative Biology, 2, 604-629. Ardekani A.M. and Stocker R., 2010, “Stratlets: Low Reynolds number point-force solutions in a stratified fluid”, Physical Review Letters, 105, 084502. Sutherland K.R., Madin L.P. and Stocker R., 2010, “Filtration of submicrometer particles by pelagic tunicates”, Proceedings of the National Academy of Sciences, 107, 15129-15134. Seymour J.R., Simó R., Ahmed T. and Stocker R., 2010, “Chemoattraction to dimethylsulfoniopropionate throughout the marine microbial food web”, Science, 329, 342-345. In the news: Compound Crucial in Sea and Air; Culturing Science; MIT Media Relations; SINC News. Ahmed T., Shimizu T.S. and Stocker R., 2010, “Bacterial chemotaxis in linear and nonlinear steady microfluidic gradients”, Nano Letters, 10, 3379-3385. Seymour J.R., Ahmed T., Durham W.M. and Stocker R., 2010, “Chemotactic response of marine bacteria to the extracellular products of Synechococcus and Prochlorococcus“, Aquatic Microbial Ecology, 59, 161-168. Seymour J.R., Ahmed T. and Stocker R., 2009, “Bacterial chemotaxis towards the extracellular products of the toxic phytoplankton Heterosigma akashiwo“, Journal of Plankton Research, 31, 1557-1561. Stocker R. and Durham W.M., 2009, “Tumbling for stealth?”, Science, 325, 400-402. Yick K.Y., Torres C.R., Peacock T. and Stocker R., 2009, “Enhanced drag of a sphere settling in a stratified fluid at small Reynolds numbers”, Journal of Fluid Mechanics, 632, 49-68. Marcos, Fu H.C., Powers T.R. and Stocker R., 2009, “Separation of microscale chriral objects by shear flow”, Physical Review Letters, 102, 158103. In the news: NSF News; CEE News; Eurekalert; Medgadget; Virtual Journal of Nanoscale Science & Technology (April 27, 2009 issue); Virtual Journal of Biological Physics Research (April 15, 2009 issue). Durham W.M., Kessler J.O. and Stocker R., 2009, “Disruption of vertical motility by shear triggers formation of thin phytoplankton layers”, Science, 323, 1067-1070. In the news: New York Times; Boston Globe; Discovery Channel; BBC Wildlife’s July Discoveries; Science Daily News; Science News; Faculty of 1000 Biology. Seymour J.R., Marcos and Stocker R., 2009, “Resource patch formation and exploitation throughout the marine microbial food web”, American Naturalist, 173, E15-E29. Ahmed T. and Stocker R., 2008, “Experimental verification of the behavioral foundation of bacterial transport parameters using microfluidics”, Biophysical Journal, 95, 4481-4493. Seymour J.R., Ahmed T., Marcos and Stocker R., 2008, “A microfluidic chemotaxis assay to study microbial behavior in diffusing nutrient patches”, Limnology and Oceanography: Methods, 6, 477-488. Stocker R., Seymour J.R., Samadani A., Hunt D.E. and Polz M.F., 2008, “Rapid chemotactic response enables marine bacteria to exploit ephemeral microscale nutrient patches”, Proceedings of the National Academy of Sciences, 105, 4209-4214. In the news: Science Daily News; PhysOrg; On Balance; CEE News; Tech Talk. Seymour J.R., Marcos and Stocker R., 2007, “Chemotactic response of marine micro-organisms to micro-scale nutrient layers”, Journal of Visualized Experiments, 4, e203 (video-publication: www.jove.com/index/details.stp?ID=203). Stocker R. and Bush J.W.M., 2007, “Spontaneous oscillations of a sessile lens”, Journal of Fluid Mechanics, 583, 465-475. Yick K.-Y., Stocker R. and Peacock T., 2007, “Microscale Synthetic Schlieren”, Experiments in Fluids, 42, 41-48. Marcos and Stocker R., 2006, “Microorganisms in vortices: A microfluidic setup”, Limnology and Oceanography: Methods, 4, 392-398. Heitz R., Peacock T. and Stocker R., 2005, “Optimizing diffusion-driven flow in a fissure”, Physics of Fluids, 17, 128104. Stocker R. and Hosoi A.E., 2005, “Lubrication in a corner”, Journal of Fluid Mechanics, 544, 353-377. Stocker R. and Hosoi A.E., 2004, “Corner flow in free liquid films”, Journal of Engineering Mathematics, 50, 267-288. Peacock T., Stocker R. and Aristoff J.M., 2004, “An experimental investigation of the angular dependence of diffusion-driven flow”, Physics of Fluids, 16, 3503-3505. Wake G.W., Ivey G.N., Imberger J., McDonald N.R. and Stocker R., 2004, “Baroclinic geostrophic adjustment in a rotating circular basin”, Journal of Fluid Mechanics, 515, 63-86. Laval B., Imberger J., Hodges B.R. and Stocker R., 2003, “Modeling circulation in lakes: Spatial and temporal variations”, Limnology and Oceanography, 48, 983-994. Stocker R. and Imberger J., 2003, “Energy partitioning and horizontal dispersion in a stratified rotating lake”, Journal of Physical Oceanography, 33, 512-529. Johnson D., Stocker R., Head R., Imberger J. and Pattiaratchi C., 2003, “A compact, low-cost GPS drifter for use in the oceanic nearshore zone, lakes, and estuaries”, Journal of Atmospheric and Oceanic Technology, 20, 1880-1884. Stocker R. and Imberger J., 2003, “Horizontal transport and dispersion in the surface layer of a medium-sized lake”, Limnology and Oceanography, 48, 971-982. Khalili A., Liu B., Javadi K., Morad M.R., Kindler K., Matyka M., Stocker R. and Koza Z. “Application of porous media theories in marine biological modeling”, Chapter 10, p. 365-398 in “Porous media: Applications in biological systems and biotechnology“, K. Vafai ed., CRC Press, 2010. Seymour J.R. and Stocker R., “The Ocean’s microscale: A microbe’s view of the sea”, in Microbial Ecology of the Oceans, Third Edition, J. M. Gasol and K. L. Kirchmann eds, Wiley, 2018, Chapter 8, 289-332.